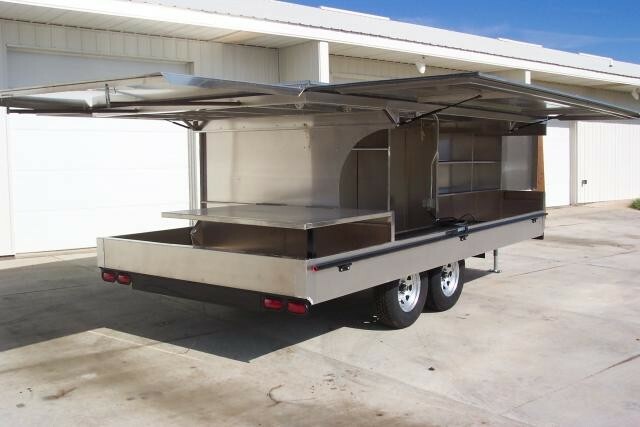 Do you need a trailer that you can just pull up to the job site and get right to work without having to unload all your tools. The problem with most trailers is the limited access to your tools. If you need something in the back, you have to unload everything in front of it. Check out these contractor trailers from ToolTrailer.com. You have access to all your tools from the outside, making is faster and easier to get your work done. The best part of all, is the built in table saw, and miter saw work stations, and still room for some 4x8' sheets of wood. These are so cool, I wish I could use one... unfortunately most of my work is indoors.